Our February 2017 gin of the month is a local one from the Cotswold Distillery. 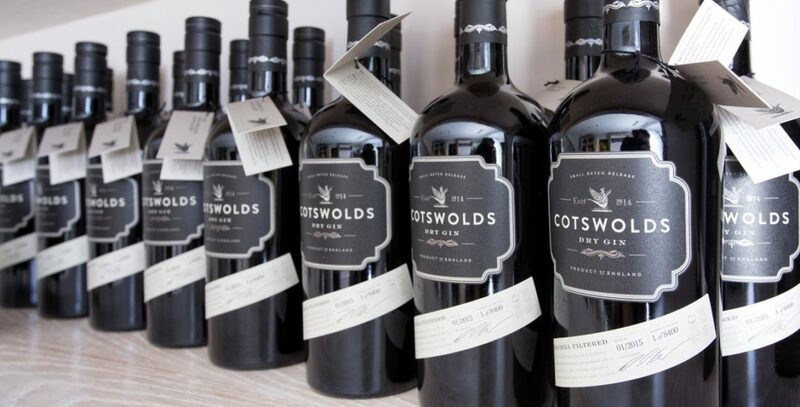 This month, we’ve chosen Cotswold Dry Gin, because we wanted something complex and versatile. We’ve seen the botanical list and we already have loads of garnish ideas, and the bottle hasn’t even been opened yet! Last year, we visited the distillery for a volunteer bottling day, and took a bottle home, but we were only fledgling gin drinkers in those days, so we don’t think we made the most of that bottle. Time to revisit this one, we thought. With everything from juniper, angelica root and coriander, through to bay leaf, grapefruit, lime, black pepper, cardamom and Cotswold lavender, there’s going to be a lot to explore with the Cotswold Dry Gin. And it won a Gold Medal at last year’s San Francisco World Spirits Competition, so we have high hopes! Thus far we’ve been enjoying our Cotswolds Dry as a Gin and Tonic, garnished with grapefruit. The result: a balanced sense of bitter citrus notes with lavender on the finish. In future weeks we’ll be exploring other combinations, and hope to return to the distillery soon for more bottling fun and inspiration from the great folks who run the place.